My little family is currently celebrating the very happy news that my husband was recently offered a new job! This new job will offer better pay, better hours, and just a better situation for him (and us) overall. 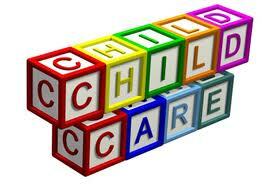 However, this also brings the issue of childcare to the forefront for us. We have been incredibly lucky that, up to this point, our children have only been cared for by family members, both while my husband and I are at work, and for the occasional evening out. My husband was working Tuesday through Saturday, so he was home every Monday, I was home one other day during the week, my mom was available two days per week and my mother-in-law was available one day per week. However, as I prepare to return to work in five much-too-short weeks, I will be returning five days per week, and now my husband’s new job will be Monday through Friday. 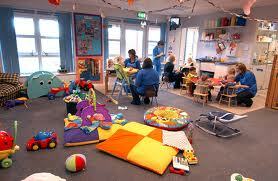 We are now faced with having two days per week where we will need outside childcare. Now, I know just how lucky we are that we haven’t had to put our sons in daycare from the start. For many people, that is the only option they ever have. I feel guilty for even thinking about being sad to leave my children with strangers for just two short days per week. But I am very sad. I have known this was a possibility for quite a while, and I’ve been trying to repeat the positive messages in my head – that it will be good socialization, that it will be a good routine, that maybe the outside influences will calm the approaching “terrible two’s” a little, that they should learn to be okay with people outside the family, as long as it is someone mom and dad says is okay – and on, and on, and on. Logically, I know all of these things are true. And I know that my sons will probably do great in whatever situation we end up in. They are fairly easygoing and adapt well to new and different situations. But emotionally, I want to grab my munchkins, stamp my feet on the floor, and refuse to leave them. I want to scream that it’s insane that we live in a country that gives no paternity leave and only 12 weeks of maternity leave. I want to tell everyone I see that the fact that we have to work to pay our bills, but then spend most of our checks on daycare is ridiculous. However, that is the reality we are living with, especially in the current economy, and most would consider me lucky that I’m only now, when my older son is 21 months old, having to deal with this. So, I begin the childcare search. I am lucky enough that a friend’s mother works in a childcare center, after having run her own home daycare for years. So, I’ll be starting my search with her. I will pick her brain for all the information and recommendations she has, and go from there. I will share my steps and advice with you along the way and hope that it will help someone else in this situation – there’s certainly enough of us out there. Hopefully, I will find someplace and someone soon that our whole family will love and feel very comfortable with. And I’ll go back to work, and I will cry on the first day I have to leave my two little boys, and probably at least a few more days after that. And we will all adjust to our new routine. I don’t envy your situation and wish you the best of luck with it. There are some truly good providers out there and there are lots of “good things” to balance off the bad. I know I would LOVE to be able to run quick errands sans kids on the way to and from daycare and that all the positive pieces you mentioned can be true, too. However, I also have to add that if you truly feel you are not prepared to leave your kiddoes with someone else and if you want someone to chat with about the sacrifices and possibilities of living on one very limited income, plus side work, I am your gal. My husband and I made the difficult choice to have me at home for many reasons, not the least of which was that my teaching income would barely offset the cost of three in child care. It has not been easy thus far and there have been many financial stresses and atypical of our society choices, but we don’t regret our choice. So, if you ever want to chat about it, let me know. Conversely, I know many Mama’s who have found the BEST choice for them and their families is for them to go back to work and to utilize daycare, preschool and traditional school for care of kids. Only you and your husband can know what is best for your family. And, like so many families, you may find that “best” have different definitions at different points in life. Whatever “best” is, I am wishing you it. PS Congrats on hubby’s job! Oh, for better hours, better pay, a better commute and a better overall situation for my own husband’s job. Congrats on the new job for Mike! Having watched my sisters both face these kinds of decisions (and both deciding very differently what to do), I thought I’d just offer my peripheral support and say, whatever you decide is best for you IS best for you. At no time in human history did one person raise all the children of a family. It’s always been a communal activity, and everything will be a-ok! Meg, thanks for reading and commenting! Whatever we do will hopefully be best, and if not, at least we can always change it. As a mini-update, we have been checking out a few different places and have found at least one that we like very much. I am never going to feel 100% happy and comfortable leaving my kids with anyone else, let alone someone who is not a trusted family member or friend, but this place made me feel better about it. Keep reading to find out what happens, wheee!